Pamela Lynn, age 58, of Fairfield passed away on April 7, 2018. She was born on October 29, 1959 in Franklin, IN to the late Gerald and Gypsy Scott. Pam is survived by her devoted husband, Clayton; much loved children, Samantha Lynn Pauley and Clayton (Tiffany) Pauley; 9 grandchildren, Clayton, Xander, Xayden, Colton, Talylah, Whitmore, Vincent, Scotlyn, and Liviana. 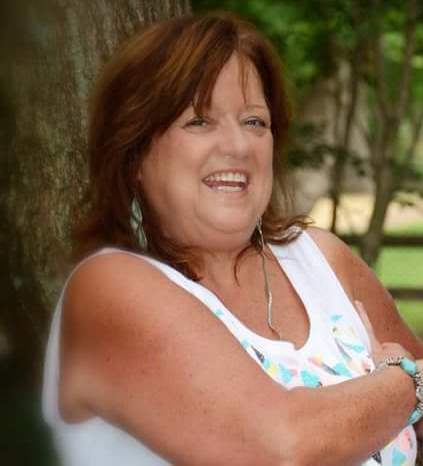 She is also survived by her siblings, Gerry Scott, Cindy Hughes, Lisa (Chuck)Palmisano, and Connie Dunaway; and numerous other family and friends. Pam is preceded in death by her parents and her brother Timothy Scott. Visitation will be Friday, April 13, 2018 from 3-5 p.m. at the Avance Funeral Home and Crematory, 4976 Winton Rd., Fairfield, OH 45014.